I like to play board games in my free time. I always wanted to invent my own games and have done so recently. The last rule says that if a black and a white piece come together, they disappear. Can you find an algorithm that works for any configuration of pieces on the board? 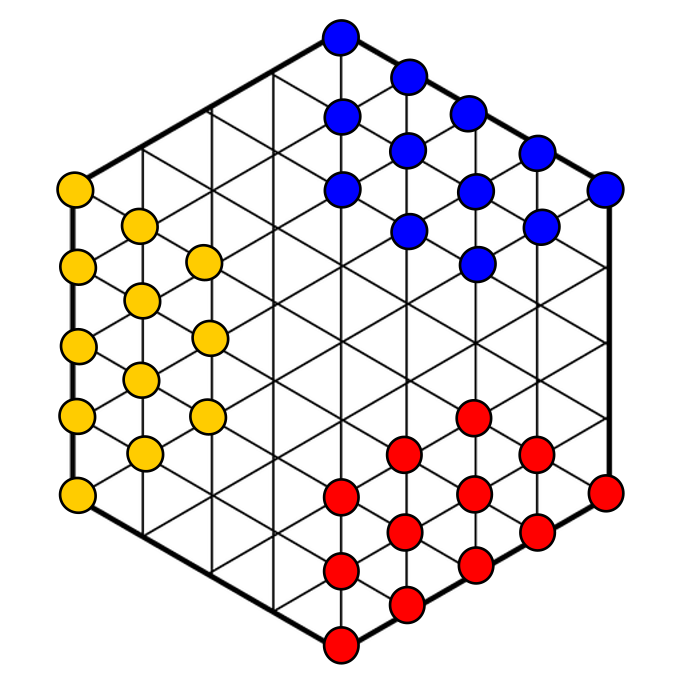 This is a game for three players (blue, red and yellow). Each player has 12 pieces of his own color. At the beginning the players position their pieces on the board as shown on the left. The aim of this game is to eliminate one other player. Blue has to eliminate red, red has to eliminate yellow and yellow has to eliminate blue. The game ends when one player has only 3 pieces left. In this case the player who removed his pieces wins. The three players take turns. During a turn a player has to move a piece. He can either move a piece to an adjacent vertex or jump over a neighboring piece. Like in checkers multiple jumps are possible and can be made in any direction. 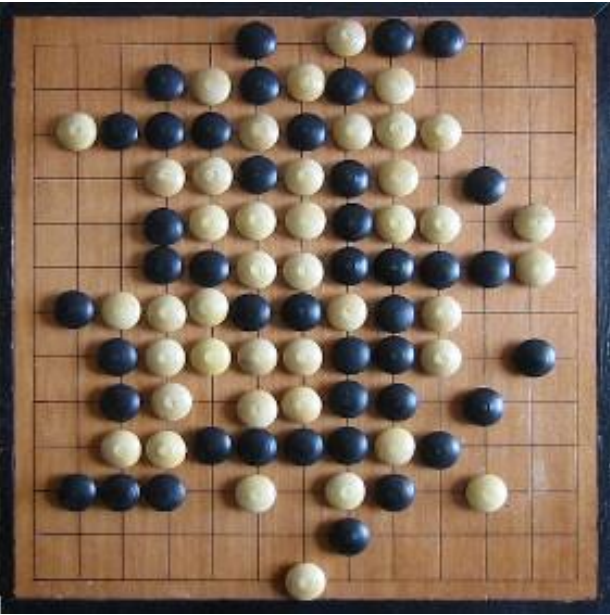 When a player jumps over a piece of the color he can eliminate, the piece is taken from the board. If he jumps over a piece of another color, the piece stays on the board. The board has six corners. To avoid hiding in corners it is possible to jump over a corner piece from the side line.